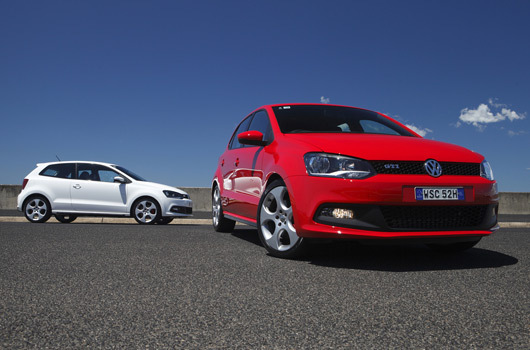 Volkswagen has claimed back-to-back Wheels Car of the Year awards, Australia’s most prestigious COTY honour. Last year it was the Golf, this year the award goes to the new Polo. 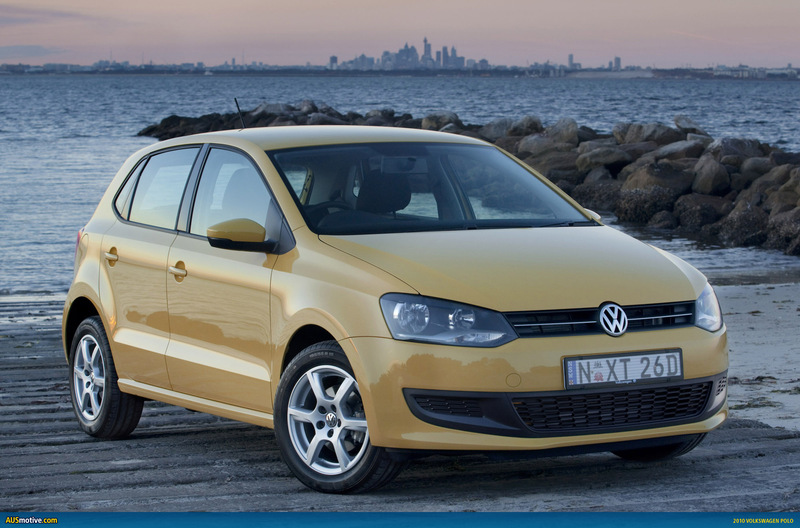 The Polo has followed in the path of its bigger sibling abroad, too, by winning the European and World COTY titles. No surprise it’s very hard to get your hands on a pocket rocket GTI version, then! Wheels editor Bill Thomas said, “It’s the depth of engineering skill applied to the Polo and the very obvious quality of the car that impresses most – if you were to pay it the right compliment, you’d say it feels like a scaled-down Golf. That means it brings new standards of refinement and comfort to the super-mini class. This is the fourth Wheels COTY award for Volkswagen, following earlier wins for the Mk1 Passat (1974) and the Mk1 Golf (1976). The official press release from Volkswagen Australia is available after the break. Volkswagen Wins Wheels Car Of The Year, Again! 19 January 2011 – Volkswagen’s Polo has received the coveted Wheels Car of the Year award, following on from the success of the Golf last year. The Polo was up against a 21 strong field of competitors but overcame all with its quality and refinement, safety and technology to be awarded the 2010 Wheels Car of the Year. With a string of awards under its belt, the Volkswagen Polo continues to redefine expectations for cars in the light car class. Wheels magazine editor, Bill Thomas, put it simply when he described the Polo as a great little car in his editorial. “It’s the depth of engineering skill applied to the Polo and the very obvious quality of the car that impresses most – if you were to pay it the right compliment, you’d say it feels like a scaled-down Golf. That means it brings new standards of refinement and comfort to the super-mini class. This is Volkswagen’s fourth Wheels Car of the Year award, having twice received the award for the Golf and once for the Passat. Volkswagen Group Australia managing director, Anke Koeckler, said:” We were extremely pleased to have received this prestigious award last year but to follow up again this year with the Polo is a great achievement. “The Polo has clearly set the new benchmark for light cars and we are pleased to see that not only the Wheels team, but also the judges from Carsguide, Drive and Australia’s Best Cars agree. Volkswagen launched the new Polo in May 2010 in Australia. Since its launch, it has seen incredible sales growth and demand continues to grow for the entire range. I have owned my Vw Polo since October, 2010. I have owned 14 cars over my life time, and the Polo is by far the best. It is a 1.6 turbo diesel, seven speed DSG. When the turbo kicks in (about 1500 RPM) there is instant boost in power – more than ever needed. The sequential gearing is the best. Highway/country travel average fuel consumption is 4.5 l/100. This is with Climate Control air-conditioning on at all times. Around city/suburbs and short cold trips it gives about 5.2 l/100. Ride handling are the best. Thoroughly recommend the Polo.